Integrate Wishlist Member & WooCommerce Quickly & Easily Better Than Any Existing Integration! Easily create membership products to unlimited number of membership levels and/ or paid posts using the pay-per-post feature and save time & unnecessary integration steps. Register customers to any membership level / pay-per-post after completing a WooCommerce product purchase. Just click to edit your product > Go to the Product Data Meta box > Choose the membership levels and / or pay-per-posts under the "Wishlist Member Registration" tab as seen in the screenshot to your right. Sell custom post types individually using Wishlist Member & WooCommerce platform. 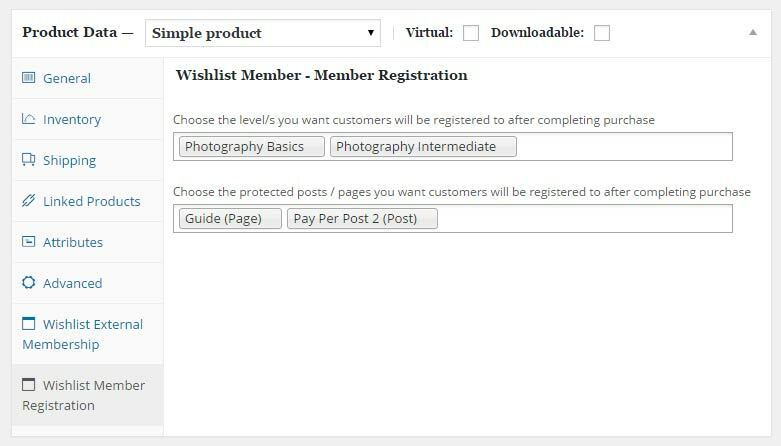 Just enable the relevant custom post types in Wishlist Member, create a membership product using Wishlist Member WooCommerce Plus, define the Product Data settings & publish! Sell memberships that are located on a separate domain (different WordPress installation) than your WooCommerce website. The External Membership Products table will be automatically displayed after you install and activate the add-on. Integrate Wishlist Member & WooCommerce Quickly and Easily Now! Creating membership products is easy as clicking a button, actually all you really need is to click a button and a new membership product created inside WooCommerce. No complicate settings, all settings arranged in one simple so you don't need to navigate between endless settings screens. No limitations on your membership site product type. You can create membership product both for level, posts and even pages. Start Selling Membership Products & Increase Your Revenues Faster! 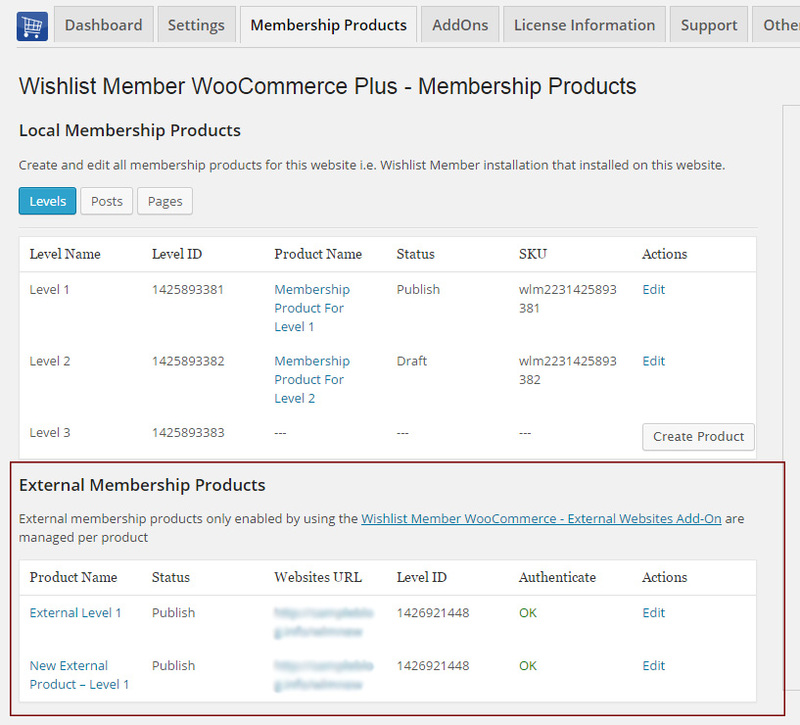 In this comparison table you get the complete comparison of "Wishlist Member WooCommerce Plus"
Can I protect WooCommerce products to be visible by members only using the plugin? 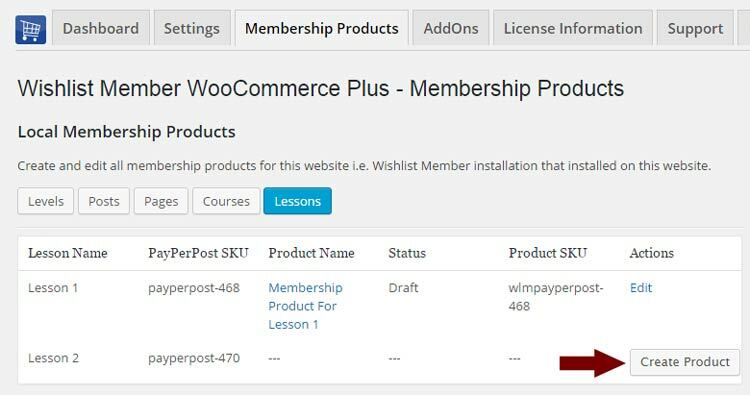 The purpose of Wishlist Member WooCommerce Plus plugin is NOT to protect WooCommerce products to be visible by members only, but to sell membership levels and / or pay-per-post content, while enjoying the advantages of the WooCommerce Platform. Integrate Wishlist Member & WooCommerce in 1-Click!